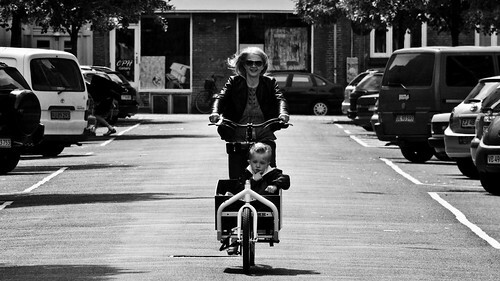 Wifealiciousness and The Boy Wonder, Felix, on our Bullitt cargo bike by Larry vs Harry. And if you're in Dublin this week, why do you go for a bike ride on Wednesday? Dublin City Cycle, in conjunction with National Bike Week. Read more right here. What a great blog. I wish the UK had such a developed cycle chique! Loving those lovely Danish ladies on their bikes. i saw a mom cruising in a larry v. harry bullitt with four kids in the box in CHICAGO last week! almost crashed as i did a double-take. although Jason, four kids in a Larry vs Harry is a squeeze. it might have been another brand of two-wheeled cargo bike?